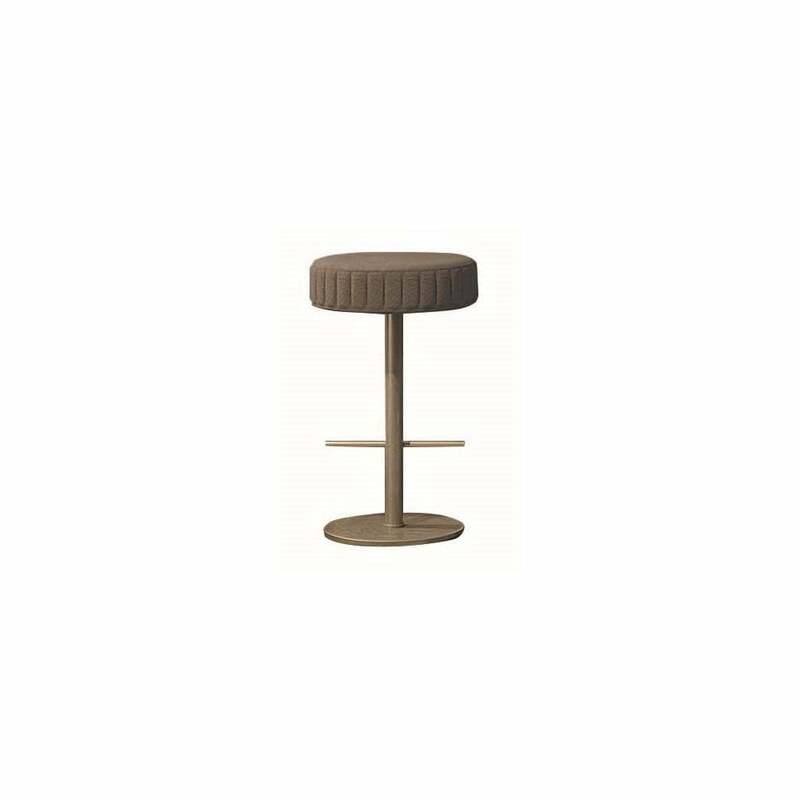 The perfect addition to a kitchen island or breakfast bar, the Sirio Bar Stool by Daytona will bring chic Italian style into your home interior. Hand-crafted from sturdy plywood, the stool is padded with multi-density rubber and combined with an upper layer of air soft pockets and goose down for ultimate comfort. The elegant base is sculpted from burnished brass with two bars for your feet for ease and practicality. Combine with a dark wood kitchen and marble counter tops for a luxe look inspired by the glamorous 1930’s era of design. The base can be carried out in a titanium finish. The seat is also available in a range of fabrics and leathers. Get in touch with our team for more information and advice.